DYKON has one of the world’s most efficient and automated production facilities in their industry . At our factory in Lunderskov, Denmark we have everything in-house, allowing us to control the entire production process down to the smallest detail. 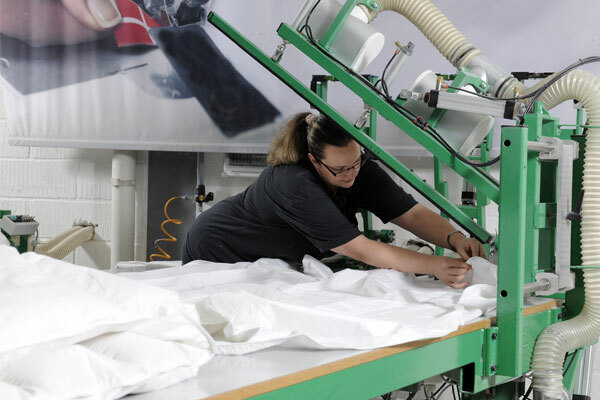 This makes it profitable to produce duvets and pillows in Denmark. 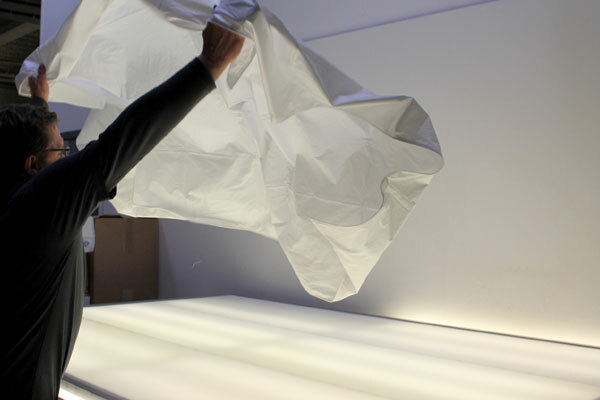 Here you can get an insight into the process from a down to a duvet. The manufacture of high quality duvets or pillows starts with the selection of the best raw material. Selecting the best goose and duck down, where the suppliers make the well-being of the animals a high priority, is an area where we have many years of experience. 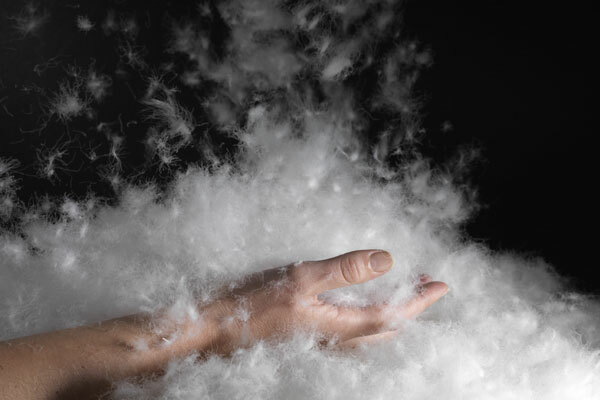 We have carefully selected our suppliers of down and feather, and only receive raw materials from European suppliers who meet all applicable requirements. You can read more about our position towards ethics and animal welfare here. Washing the raw feathers creates the basis for obtaining a fluffy, disease / odorless and allergy friendly filling for the duvet or pillow. 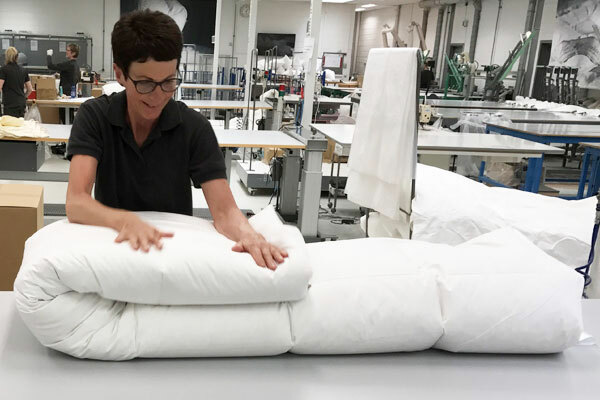 This is crucial for the comfort and insulating qualities which the duvet will have later. 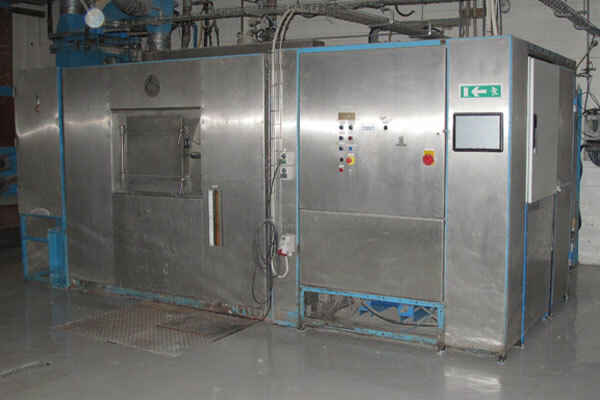 The entire washing process – both washing and drying – takes place in-house and is fully automated. Through many years of experience in washing and drying, we ensure a high and consistent quality of our down and feathers. After the washing and drying process, the down and feathers are sorted mechanically. Depending on which sorting machine (and its height) we divide the down and feathers in specific fill qualities. Most of our shells are made of 100% cotton, but our range also includes 100% silk and mixed fabrics such as micro-tencel/cotton. The fabric is especially closely woven and finished, so that it is down and feather proof. During the making up of the shell there are strict requirements with regard to complying with stitch lengths and needle types, so that the sewing thread can fill the sewing hole. This prevents the down and feathers from passing through the sewing. The shells are available in many different fabrics, patterns and cotton qualities. 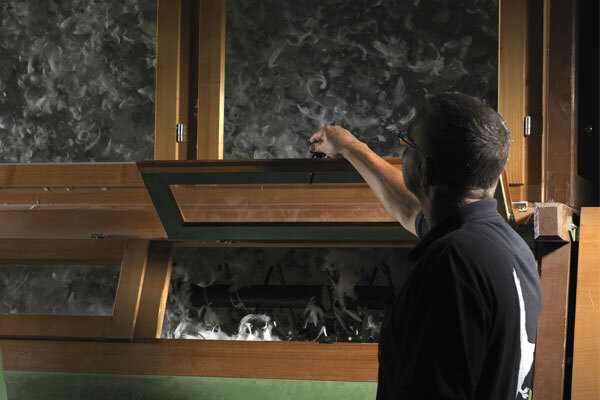 All our shells and fabrics are OEKO-TEX standard 100, class 1 approved. After a thorough inspection the shell is filled with the required down and feather mixture. The filling is done by the fastest and most state-of-the-art machinery to be found on the market. Our filling machines use the technology of tomorrow – like the rest of the factory – to make sure our production always is up-to-date. The product is carefully checked before packaging. The duvets are illuminated on our lightning table to ensure that all cassettes are filled. In addition any thread residue is cut off and a “needle control” is made to ensure that no unwanted elements is left in the products. Afterwards the product is beaten out, so the down and feathers are spread out into all the corners. Finally, the product is packed in the type of packaging required by the customer. After the products are packaged in the packaging they come to our warehouse. 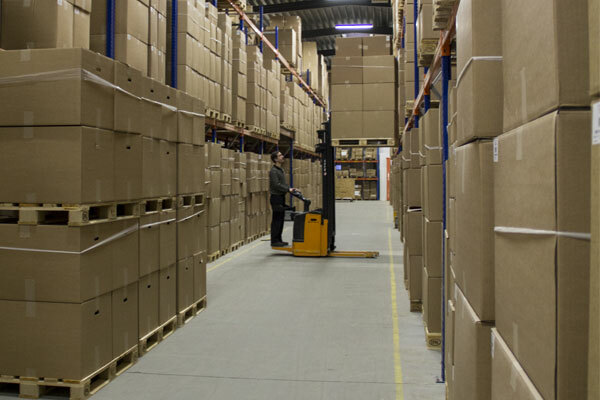 Our modern warehouse and logistics facilities makes it easy and fast to load a truck or a container. Then our customers can get their goods at the right time and place.